Today, I'm the one on the hot seat, and the character I love that needs more exposure is none other than Batroc the Leaper! I'm so incredibly tempted to just put up a bunch of Batroc images to show you why he's so awesome, but because everyone else actually wrote something, I guess I should play fair. Georges Batroc was a member of the French Foreign Legion, and a master of savate, the art of fighting with your feet! (That's actually a misconception, since savate does allow the use of hands, but work with me. That's what's given!) 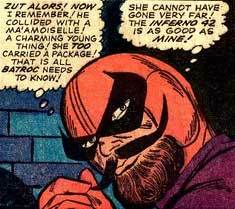 Batroc is a mercenary who fights Captain America and who is also a heavily stereotypical caricature of a Frenchman. Look! He's twirling his mustache!! Do I even need to go on? Meet Batroc... Ze Leapair! He fights with his feet! Here he is, in a Jack Kirby–drawn panel. And here he is again, in a John Byrne–drawn panel two decades later. I know you're chuckling to yourself, thinking "Duy, the pose looks so silly!" 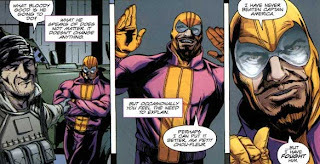 Is Batroc funny? Why, yes, he is. But that's what makes him so awesome. You can play him as a comedic figure, but that just hides two things: how dangerous he is, and how actually brave he is. You see, Batroc's a mercenary, but he's got some values, man. He won't kill without purpose, and he will fight fair. And he will stand up for that. Here he is, standing up to Mr. Hyde—a guy who goes toe to toe with Thor. 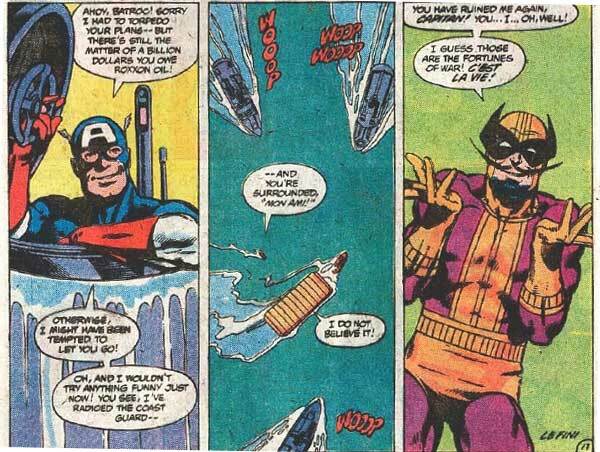 Actually, Batroc ends up hating the people who hire him so often that his adventures have the tendency to end with him actually teaming up with his mark, "Mon Capitan," Captain America. 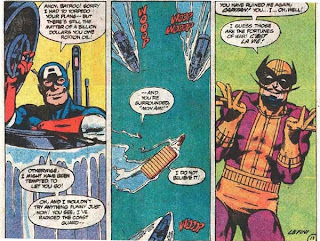 So why does Batroc keep plaguing Cap so? Well, for one, it's because of the money, and for another, it's because he likes it. He likes doing it and he likes to see if he can match up to Cap. He never has, and he knows on some level that he never will. 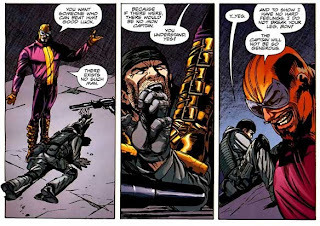 In 2011's Captain America and Batroc one-shot, he admits as much. Essentially he says "I've never beaten Cap, but I've fought him, and that's as good as you're going to get from anyone, because no one can beat Cap." 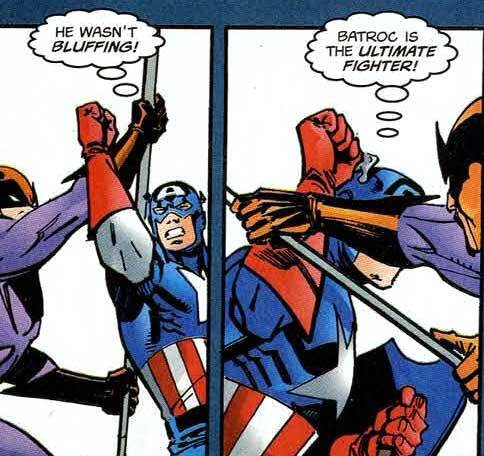 It's obvious that Batroc respects his foe, but what about the other way around? Hey, let's look at some of Cap's thought balloons, right here! The combination of being comedic and legitimately dangerous is a relatively rare one, as it's not something you really expect. 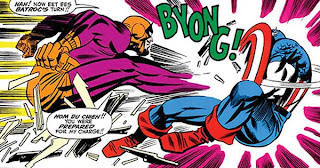 Batroc could easily be brought in for a few laughs, but at the same time could easily be brought in any time you want Cap, or anyone really, to have a thrilling, edge-of-your-seat slobberknocker. And that's my campaign! You know how most superhero movie sequels start off with the hero establishing what he can do to the audience, to kind of remind them of what they're capable of? Superman 2 starts off with him fixing the Eiffel Tower; Spider-Man 2 starts off with a pizza delivery sequence done via webswinging; the first time you see Batman in The Dark Knight, he's going after a bunch of crooks (and a dog). 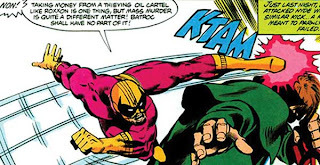 Well, Captain America 2: The Winter Soldier should take a step up and instead of having generic crooks for Cap to dispose of the first time you see him, they should use Batroc (ze Leapair! ), and give us a genuine fight! It would be a ten-minute scene that would accomplish multiple things: establish just how good Cap is as a fighter, in case anyone forgot, and inject some humor into the movie, since the movie is, by the very nature of the story they're using, gonna be a bit heavy. And Batroc doesn't even need to come back in the entire movie. 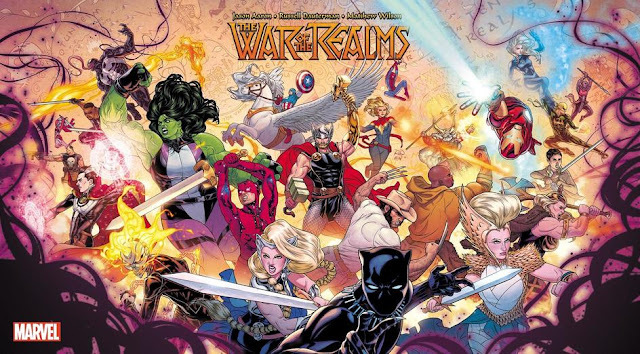 That one appearance, establishing Cap's physical prowess, is enough. And it can end the way a Cap/Batroc fight typically ends: with Batroc losing, but smiling. He's had his fun, and he'll be back. So come on, Marvel and Disney! Give it to us! The Star-Spangled Man with a Plan versus the Froggy Frenchman! You know you wanna do it! Zut Alors!